Hello and Welcome back to our assessment of the race to the Pichichi Trophy for the month of February 2019. The La Liga table has started to take shape and there are finally familiar faces in the top three. Barcelona have maintained the distance between them and the rest of the league at the top, while Atletico Madrid are close on their heels in second. Real Madrid have also managed to climb up to third, even though they are 10 points behind Barcelona. The absence of a Real Madrid player in the top 10 is still surprising, but Karim Benzema misses out only by virtue of an inferior goals per game ratio. 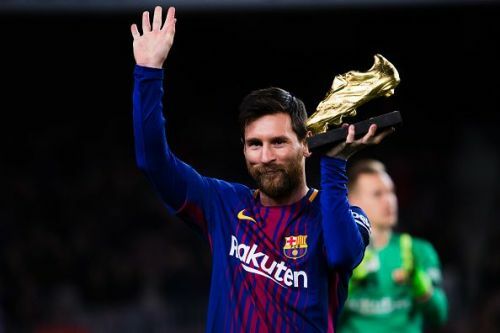 There has been significant changes in rankings of the contenders for the La Liga Golden Boot and the difference from the top and the both of the race is increasing rapidly. Today we take a look at the top contenders for the La Liga Golden Boot at the start of February. The Portuguese had slipped further down the rankings and is now in danger of dropping out of the race. Andre Silva managed just one goal in the entire month of January and as such, is at the bottom of the pile right now. 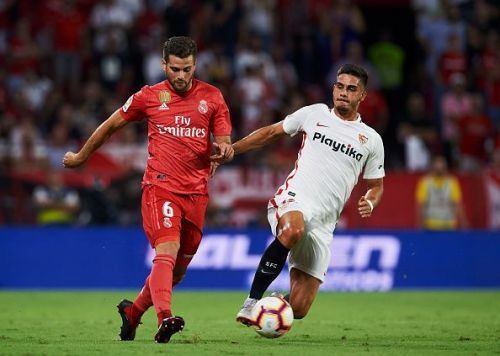 After failing to score in December, the 23-year-old continued his goal drought in the first three matches after the winter break, which included a draw against Atletico Madrid and two back to back defeats against Athletic Bilbao and Real Madrid. When it looked like he would draw a blank in January as well, Silva redeemed himself, scoring in the 5-0 win over Levante at home. The Portuguese is currently averaging a goal every 190 minutes played. He has registered 40 shots, 23 of which have been on target. Silva has 9 goals from 20 games played and with a goals-per-game average of 0.45, he is 10th in the race to the La Liga Golden Boot.